With Christmas right around the corner, the feel-good movie season has officially begun. The first of many movies in this category to come out has been “Instant Family,” which premiered nationwide on Nov. 16. Mark Wahlberg and Rose Byrne star in this heartwarming true story of the Wagners, a young married couple who decides to adopt three children, Lizzie, Juan and Lita. The children have been in the foster system for many years, as their mother was a drug user, and the courts deemed her an unfit parent. The film follows the family’s ups and downs as they try to adjust to their new living situation. The theme of the Wagners being in over their heads is played off for laughs throughout most of the movie. To help become better foster parents, the Wagners attend a foster parent support group led by two women named Sharon and Karen, played by Tig Notaro and Octavia Spencer, respectively. Although the Wagners falter at times, the couple learns to grow together and love each other as a family. While “Instant Family” has its fair share of great performances from Wahlberg and Byrne, for me the real standout was Isabela Moner, who plays Lizzie, the teenager of the Wagners’ adoptive family. Moner was able to balance the naivety of still being a child with the forced emotional maturity of being the oldest sibling in a foster family in a way that really shows her range as an actress. Spencer is amazing as always, and pretty much steals every scene she is in. While I am on the topic of Spencer, when will she get a lead role in a movie? She was awesome in both this and “Gifted,” both supporting roles. I need a movie with her in a starring role. America needs a movie with her in a starring role. The world needs a movie with her in a starring role. 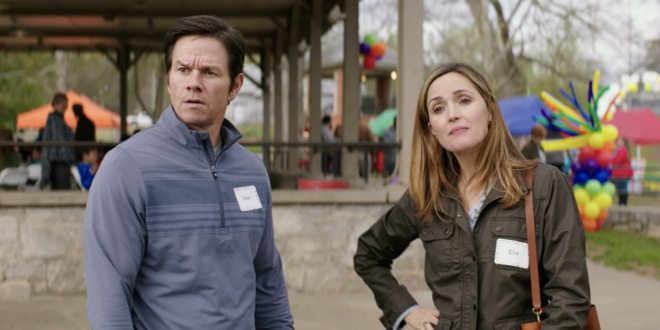 Although “Instant Family” is definitely a comedy, it is able to have jokes and comedic scenes without losing the emotional backbone of the film. At its core, “Instant Family” is an example of how the benefits that come with adopting a child outweigh the difficulties. That being said, when “Instant Family” wants to be funny, it is hilarious. Wahlberg and Byrne both get to show off their comedic chops throughout the run time. Comedian Tom Segura plays a minor role in the film, and he brings a nonchalant sense of humor to the film that is really refreshing. 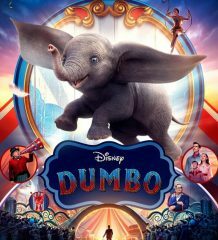 It is stressed multiple times that it is up to the selflessness of the foster and adoptive parents to help give the children in the system a better life than they were born with, and no amount of jokes in the movie takes away from this. My one complaint with “Instant Family” is not even a complaint about the movie; it is about its trailer. Like most movie trailers these days, the preview for “Instant Family” essentially gave away the entire movie. This is not that big of a deal for a movie like this, where the audience can pretty much tell what is going to happen by the end, but I still would have liked to see less of the movie’s plot in the trailer. With a 7.6/10 on IMDb and an 81 percent on Rotten Tomatoes, there is no debating that “Instant Family” has become an instant classic. I highly recommend going to see “Instant Family” this holiday season. It is the perfect movie to see with your family or your friends. 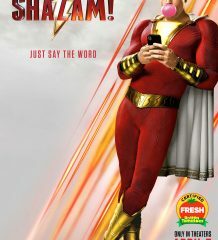 Anyone who is a sucker for feel-good comedies like me is going to love this movie.